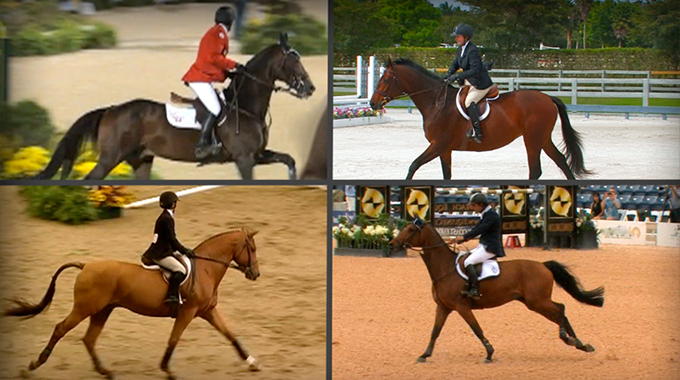 What are “correct dressage hands” and how do I get them? There are several things to consider when talking about our hands. Let’s start with the basic positioning of them. Snaffle rein between the ring and pinky fingers, holding the most pressure on the rein between the thumb and index finger. Your middle, ring, and pinky should be a little looser to be able to supple the horse’s mouth effectively without having to move the hands too much. Your thumbs are on top—no sideways piano hands as this breaks the positioning of the straight line that we want to see from the elbow—through the wrist to the horse’s mouth. It’s important to remember to have a soft moving arm, wrist, and hand. And even though the aim is a quiet hand, it’s critical to stay relaxed and supple in this endeavor. Since the hands are the direct link to the horse’s mouth, it’s important to keep the fingers moving and suppling all the time. A death grip on the rein stops the energy and can create resistance. So it’s for the rider to figure out and adjust just how much weight in the hand is ok. With the stiffer heavier horses it’s going to take constant work to try to supple and balance whereas the lighter horses may need more push from the leg forward to the hand to create a more solid contact. 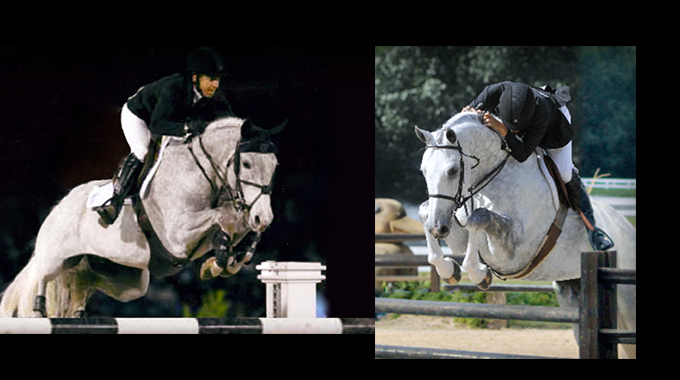 The length of the rein also plays a part in developing a consistent contact. I always start with a longer rein and then as the horse warms up and becomes supple, I begin to shorten the reins working to achieve balance and self carriage (not holding the horses head up). In training, the hands may need to move around in order to achieve a deeper level of bending, or stretching which is all fine as long as the aim is always to get back to a low quiet hand. A nice self-carrying contact where the horse is in true balance, both longitudinally and laterally, takes years of patient and systematic training. True contact is amazing as you feel like you are part of the horse, thinking and moving with them in the most harmonious beautiful way. 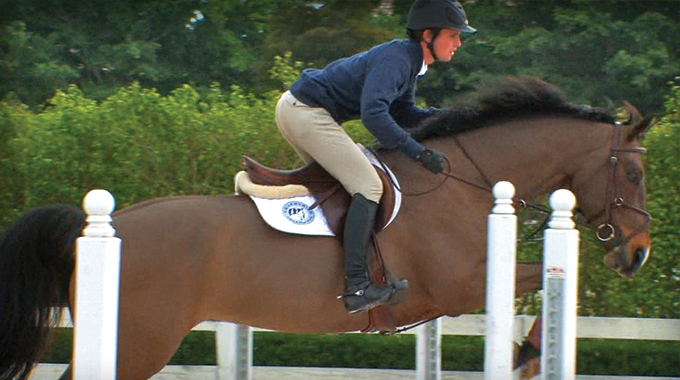 Geoff Teall shares a strategy for turning a forward jumper into a equitation and/or hunter derby horse. Bernie lends his advice to member Sabrina who wanted clarification on how to ask her horse to land on the correct lead after a jump. 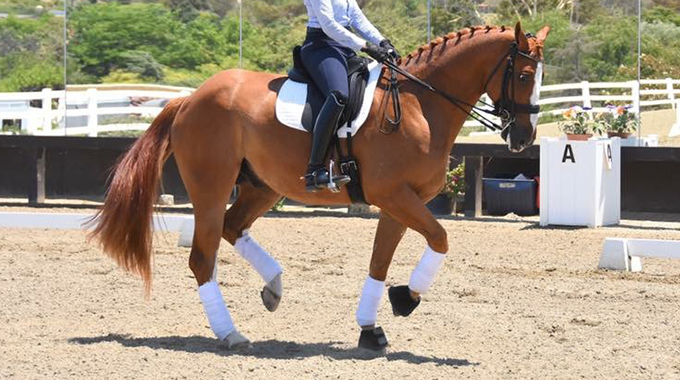 Member Sophie wanted advice on how to adjust her hip angle to help her horse whose conformation is naturally a bit downhill. Bernie lends his expert advice.